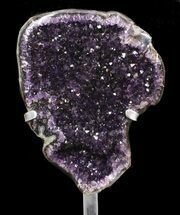 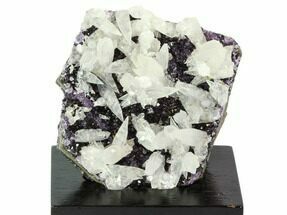 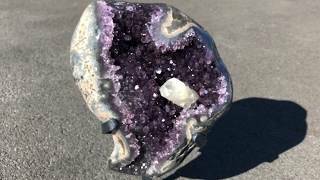 This very sparkly, 13.5" tall amethyst cluster is from the famous mines at Artigas, Uruguay. 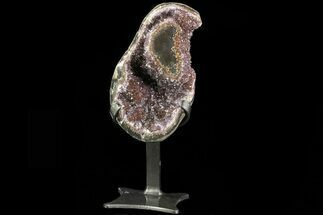 The edges of the specimen have been nicely polished to reveal the beautiful, agate "rind" of the geode. 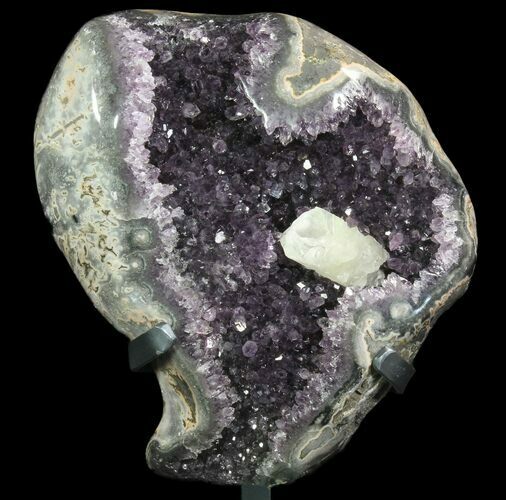 There is one large calcite front and center on this beautiful specimen. 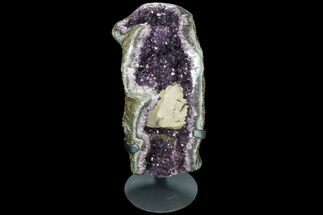 Comes with a custom metal display stand.